RARE #1 BERRA!!! Lawrence Peter "Yogi" Berra (born May 12, 1925) is an American former Major League Baseball catcher, outfielder, and manager. He played almost his entire 19-year baseball career (1946–1965) for the New York Yankees. 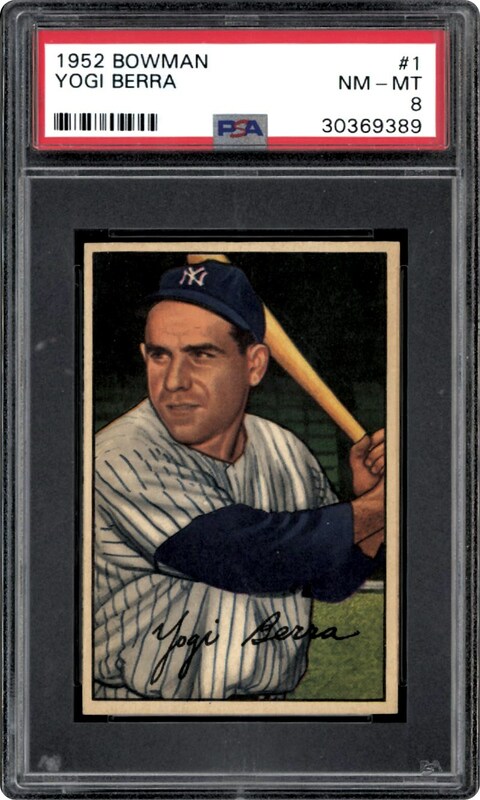 Berra is one of only four players to be named the Most Valuable Player of the American League three times and is one of seven managers to lead both American and National League teams to the World Series. 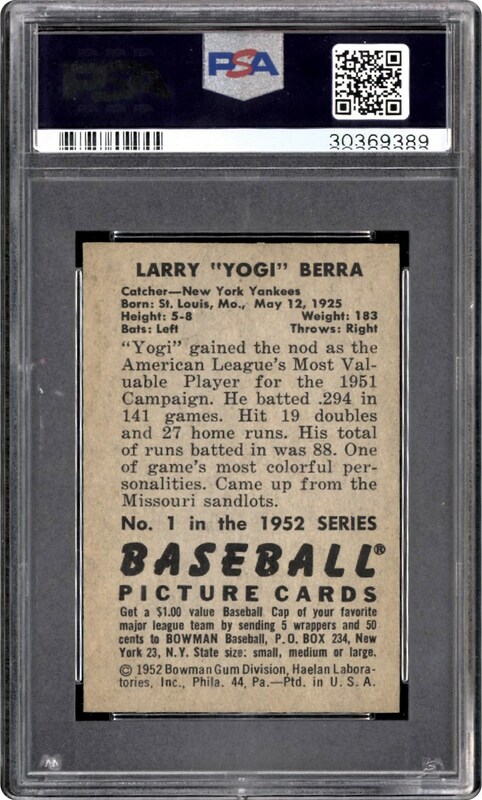 Coming off his MVP '51 season Yogi is on his way to the Hall of Fame. This card is offered in a PSA 8 NM-MT holder. Being the number 1 card in the set makes this a very difficult card to find, especially in high grade. Just a handful grading higher than this one.